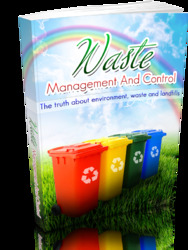 Wastewaters from the manufacturing, processing, and formulation of inorganic chemicals such as phosphorus compounds, phosphates, and phosphate fertilizers cannot be exactly characterized. The wastewater streams are usually expected to contain trace or large concentrations of all raw materials used in the plant; all intermediate compounds produced during manufacture; all final products, coproducts, and byproducts; and the auxiliary or processing chemicals employed. It is desirable from the viewpoint of economics that these substances not be lost, but some losses and spills appear unavoidable and some intentional dumping does take place during housecleaning, vessel emptying, and preparation operations. The federal guidelines  for state and local pretreatment programs reported the raw wastewater characteristics (Table 4) in mg/L concentration, and flows and quality parameters (Table 5) based on the production of 1 ton of the product manufactured, for each of the six subcategories of the phosphate manufacturing industry. Few fertilizer plants discharge wastewaters to municipal treatment systems. Most use ponds for the collection and storage of wastewaters, pH control, chemical treatment, and settling of suspended solids. Whenever available retention pond capacities in the phosphate fertilizer industry are exceeded, the wastewater overflows are treated and discharged to nearby surface water bodies. The federal guidelines  reported the range of wastewater characteristics (Table 6) in mg/L concentrations for typical retention ponds used by the phosphate fertilizer industry. The specific types of wastewater sources in the phosphate fertilizer industry are (a) water treatment plant wastes from raw water filtration, clarification, softening and deionization, which principally consist of only the impurities removed from the raw water (such as carbonates, hydroxides, bicarbonates, and silica) plus minor quantities of treatment chemicals; (b) closed-loop cooling tower blowdown, the quality of which varies with the makeup of water impurities and inhibitor chemicals used (note: the only cooling water contamination from process liquids is through mechanical leaks in heat exchanger equipment, and Table 7 shows the normal range of contaminants that may be found in cooling water blowdown systems ); (c) boiler blowdown, which is similar to cooling tower blowdown but the quality differs as shown in Table 8 ; (d) contaminated water or gypsum pond water, which is the impounded and reused water that accumulates sizable concentrations of many cations and anions, but mainly fluorine and phosphorus concentrations of 8500 mg/L F and in excess of 5000 mg/L P are not unusual; concentrations of radium 226 in recycled gypsum pond water are 60-100 picocuries/L, and its acidity reaches extremely high levels (pH 1-2); (e) wastewater from spills and leaks that, when possible, is reintroduced directly to the process or into the contaminated water system; and (f) nonpoint-source discharges that originate from the dry fertilizer dust covering the general plant area and then dissolve in rainwater and snowmelt, which become contaminated. 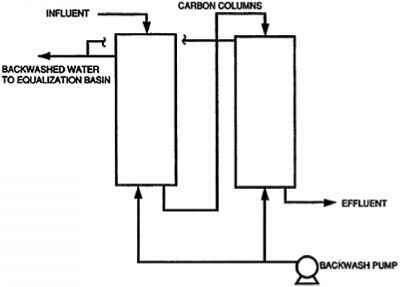 In the specific case of wastewater generated from the condenser water bleedoff in the production of elemental phosphorus from phosphate rock in an electric furnace, Yapijakis  reported that the flow varies from 10 to 100 gpm (2.3-23 m3/hour), depending on the particular installation. The most important contaminants in this waste are elemental phosphorus, which is colloidally dispersed and may ignite if allowed to dry out, and fluorine which is also present in the furnace gases. The general characteristics of this type of wastewater (if no soda ash or ammonia were added to the condenser water) are given in Table 9.
a In high levels, these parameters may be inhibitory to biological systems. B=batch process. C=continuous process. BOD, biochemical oxygen demand; SS, suspended solids; TDS, total dissolved solids; COD, a In high levels, these parameters may be inhibitory to biological systems. B=batch process. C=continuous process. BOD, biochemical oxygen demand; SS, suspended solids; TDS, total dissolved solids; COD, chemical oxygen demand. Source: Ref. 8.